Located on an oversized lot in the prestigious Estate Section. 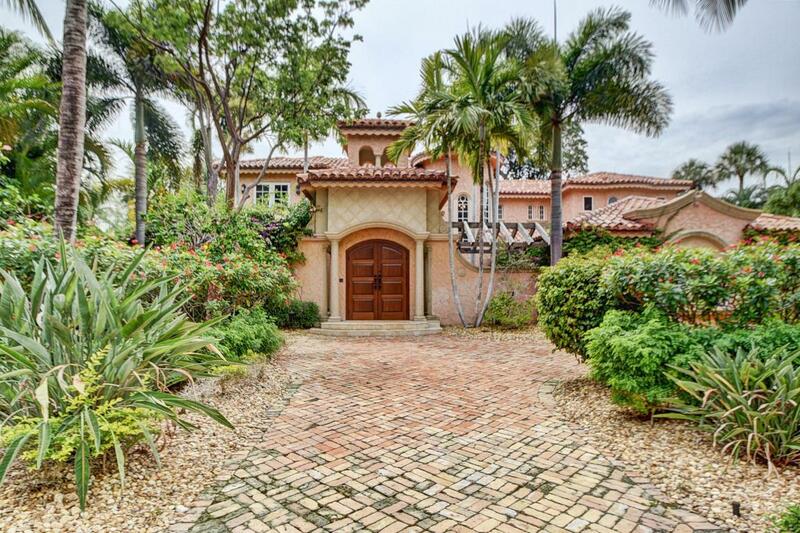 The house is only blocks away from the beach and the famous Boca Raton Resort and Beach Club. It has excellent curb appeal with a beautiful courtyard. Custom 2 story grand estate that features marble throughout and a gorgeous walnut staircase. Gourmet chefs kitchen. Spectacular underground wine cellar with custom hand carved entry door. 3 fireplaces and impact glass throughout. The resort style pool, outdoor bar, outdoor kitchen are perfect for entertaining. Listing provided courtesy of Castles By The Beach, Inc..